Tourism in Egypt: Egypt has successfully been improving its status as a premium travel destination this year, regaining the world’s trust that it is safe for tourism. Many esteemed organizations have nominated Egypt as one of the top travel destinations through the number of tourists or booking rates at hotels. Business magazine Forbes, recently published an article about tourism in Egypt by travel writer Allison DiLiegro. Titled “Why 2018 is the year to visit Egypt“, her story recounts a very personal visit to Egypt. Rather than just gross numbers or statistics, the articles utilizes the author’s personal experiences from her time on Egyptian streets to prove that tourism in Egypt is a safe and enjoyable country for tourists. DiLiegro then proceeds to list reasons for readers to why 2018 is the best time to visit Egypt. Her first reason is the fact that tourists visiting Egypt right now don’t have to worry about other tourists, being able to enjoy most sites since there were no crowds around, “we were able to explore freely and take photos without busloads in the background.” Her tour guide explained that these sites used to see much more people in 2010. The author moves on to list some of the most impressive sites she visited during her trip including the Philae Temple, Edfu, Luxor Temple, Karnak, the Valley of the Kings and even King Tutankhamun’s mummy. Egypt has been witnessing quite the tourism boost since the beginning of the year; Minister of Tourism Rania al-Mashat announced that the number of tourists visiting Egypt jumped by 30 percent during the first quarter of 2018 compared to last year. Tourism revenues also achieved an 83.3 percent surge in the first quarter of 2018. One of the main reasons for the hit in tourism was the downing of a Russian plane in 2015. 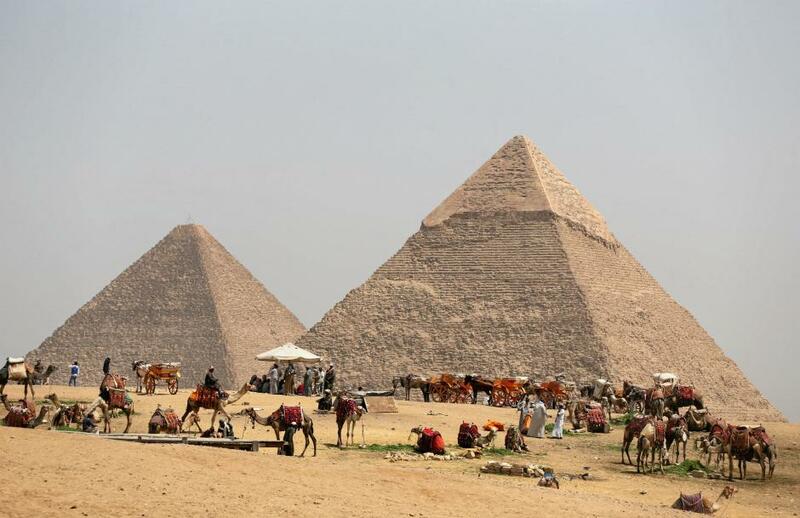 However, according to Russian state media outlet Russia Today, at least 3.16 million tourists are expected to visit Egypt thanks to Russia’s decision to lift a ban on direct flights to Cairo. This improvement comes from a rigorous advertising program Egypt has adopted in the past few years to restore its position as an international destination for tourism. Some of these steps include inviting over world stars like footballers Benzema and Lionel Messi, as well as international actors such as Hillary Swank and Nicholas Cage to visit the country. The country also recently launched an Instagram page titled “Experience Egypt”, which displays stunning images of different cities including Cairo, Luxor, Aswan and Red Sea cities, using the social media to captivate young people into visiting the country. In 2018, an annual study by Swiss bank USB on 77 metropolitan areas ranked Egypt’s capital Cairo is the cheapest city in the world. Moreover, the International Economic Forum, one of the leading institutions in the field of economic research, issued a report on competitiveness in 2017, citing Egypt as the second cheapest tourist destination in the world. In 2017, the United Nations World Tourism Organization (UNWTO) ranked Egypt as the world’s second fastest growing destination. The trend is only continuing to grow this year, as recent statistics indicate that Egypt received 730,000 tourists in February 2018, a 35 percent increase compared to the same month in 2017.